Heroic Plaza is a symbolic part of Apotheosis City. 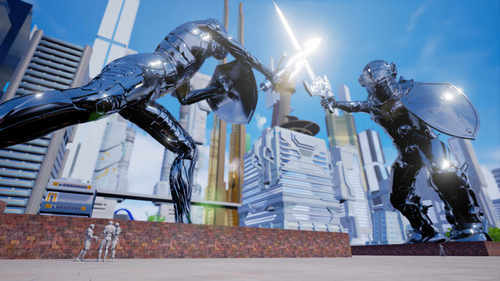 It contains the City Hall and, a short distance away, the well known pair of statues representing the last two superheroes who had to have secret identities. In the image above, The Arch can be seen some distance away behind the statues.